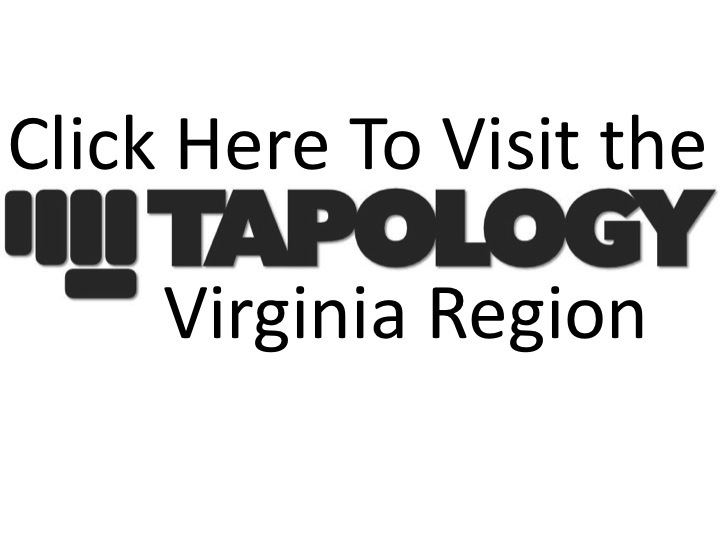 MMA in VA reports from the Ernst Cultural Center in Annandale, VA, Saturday, March 26th, at approximately 7:30 PM EST with play-by-play and our "of the Night" Awards for Strike Off FC 7. Two big Middleweights opened up the night at Strike Off 7. Maryland's Eric Wilson, with a boxing background, attempted to go to his bread and butter early, but Benedetto, the taller fighter got Wilson to the ground with 2 takedowns in the round, with the last able to take Wilson's back. Benedetto spent several minutes of the round on Wilson's back, laying down ground and pound. Wilson was able to survive the first round, which went to Benedetto. Benedetto returned the fight back to where it ended in the first and secured Wilson's back again, this time working on a rear-naked choke that was across the jaw. Unable to finish, Wilson scrambled and got out of the hold but was taken back down and dominated just as he was in the first. Another dominant round for "King Kong" Benedetto. Same story different round. Benedetto dominating on the ground and this time he was able to finish the job and finished Wilson, due to unanswered strikes from back mount. Benedetto is your winner by TKO at 2:05 of the 3rd round. Boisvert a Pro kickboxer, making his Pro MMA debut, stalked Turbitt early, but never landed any strikes. Turbitt shot in an was able to push Boisvert against the cage, but due to lack of activity, were separated by referee Todd McGovern. Not much activity from either fighter after that, just a lot of cage circling. Very uneventful round. Round could have gone either way. Turbitt pulled guard early, giving Boisvert top position. Not where he wanted to remain, Boisvert stood up and delivered a few good low leg kicks before allowing Turbitt back to his feet. Boisvert continued to stalk Turbitt, this time landing a few more strikes than he did in the first. Zero offense, in the round, from Turbitt until a clinch late in the round. Turbitt looked to get back in the clinch game earlier in the 3rd, but Boisvert had some nice takedown defense, thwarting Turbitt's only advantage in the fight to that point. Not enough offense from Turbitt. The judges saw the fight for Boisvert by Unanimous Decision 30-27, 29-28, 29-28. Jiu-Jitsu vs. Turtle Power in this Bantamweight matchup. These two were supposed to hook it up at EWC 9, in January, but due to inclement weather the bout was scratched. Both fighters are making their pro debuts. "The Ninja Turtle" Archie, with a huge height and reach advantage was not able to utilize that advantage, as Bartholomew got inside the reach, took him down and mounted Archie. Archie escaped once, but Bartholemew got the Pennsylvania native back to the mat, looking for submission after submission on the long limbs of Archie, finally securing a rear-naked choke at 2:05 of the round. Bartholomew runs his new Pro MMA record to 1-0. Matchup of two extremely talented ground fighters in this 120 lb. Catchweight bout. As tends to be the case in most match ups of ground fighters, it turned into a stand-up fight. Not much action from Youness, early, as Peters came out the aggressor. It didn't take long for Youness to figure out Peter's timing, however, landing several perfectly timed counter strikes. Youness scored a takedown within the last 10 seconds, which should have secured the round for Youness. Youness continued his fancy footwork and angle cutting into the second stanza. The two fighters made it to the ground, but Youness didn't want any of Peters' ground game and immediately got back to his feet, where he had so much success in the 1st. Peters attempted a second takedown in the round but was once again unsuccessful. Not a lot of volume of strikes from either fighter in the round and Peters was unable to gain any takedowns in the round. Peters was like a vice grip in his takedown attempts in the round, but Youness was simply too big and strong and immediately got out of danger, keeping the fight on it's feet. Peters' main offense on the feet were low leg kicks that connected throughout the fight, but simply couldn't match the speed of Youness and wasn't able to get the fight to the ground to display his BJJ Black Belt level skills. The judges scored the fight 30-27 across the board for Youness. Another Catchweight fight at 140 lbs. for the two winless pros, Tisdale and Hysa. This, on paper, was a sneaky fight of the night. Both fighters exchanged some hellacious haymakers early on, with Tisdale landing more frequently and powerfully. Tisdale pulled guard in the round, which appeared at the time to be a potential mistake, but Tisdale quickly worked toward a triangle choke and locked it in, causing Hysa to tap at the 2:38 mark. Tisdale gets back into the win column with his second pro win. Dusty Shaw jumps up two weight classes for this fight against 0-1 Ellerbee. Shaw got an early takedown, ducking under an Ellerbee strike. Ellerbee grabbed a guillotine but wasn't in any position to do anything with it. Dusty was on one knee and looked like he was shifting his weight to get up to his feet and he instantly yelled out in pain, appearing to have twisted his knee, or worse. Referee Todd McGovern initially appeared to call time and invited the cageside physician to attend to Shaw. Dusty was unable to continue, due to the knee injury, giving Ellerbee the victory, via TKO at 1:07 of the round. Both of these Lightweights weighed in around the same weight, but each fighter got there differently. Zimmerman got there due to height and Mosley by girth. Zimmerman the taller of the two fighters will take on the compact build of "The Bull". Mosley, who could also live up to the moniker "The Tornado" came out, dare I say like a bull in a china shop. Mosley used that aggression to get the first takedown of the fight, but Zimmerman weathered it and got back to his feet. Mosley looking visibly fatigued got taken down himself. Zimmerman secured a back mount, went for arm bars as well as triangles. The "Nappy Ninja", Zimmerman, was a submission machine and finally locked up triangle, from the top, and used that control to pound out Mosley, who immediately disputed the stoppage with referee Mike King. It was a justified stoppage, as Mosley didn't appear to be going anywhere. Chris Rollins called this his fight of the night and should be a good stand-up battle. Both fighters exchanged strikes and seemed to be more into gauging each other's timing, early. Staten moved in and connected with a left head kick that dropped Stephenson against the cage and down to his knees and Staten was quick to pounce. Having seen the knockout, referee Todd McGovern jumped in and pulled Staten off of Stephenson, so as not to have Alan absorb any additional punishment. The victory for State was ruled a Knockout at 2:57. Most of this first round was fought behind the covered camera stand, obstructing our view, but Kirby spent most of the round on top, moving from guard to side mount, not really laying down a high volume of punishment, but doing enough to control his opponent and the round. Kirby rode the round out of top in a very one-sided round. Kirby's hands warmed up to start the 2nd, connecting with a big overhand right to start that round and connecting with Brown with a nice punch combo. Brown shot in for a takedown, was stuffed by Kirby and Brown went for a leg lock. Kirby didn't appear to be in any danger from the submission attempt and leveraged his way into top position, moving into side control, bloodying Brown with big elbows from the top. The Doctor looked at the damage to Brown's left eye and saw enough to stop the fight, giving Kirby a TKO victory, due to Doctor stoppage at 5:00 of the 2nd. Neither fighter wasted a minute to try to take the fight to their world. Lawrence threw a big left that missed and that's all the opportunity Vinyard needed to get Lawrence to the ground, pass his guard and rain down a flurry of fight ending strikes. Todd McGovern gave Lawrence ample opportunity to roll and continue to fight, but there were too many unanswered, hard shots and McGovern finally stepped in and waived it off, in favor of Jon Vinyard who pulls off a HUGE win at the 50 second mark, by TKO. Virginia's top ranked Flyweight is back in front of his home area fans against American Top Team fighter, Mclean. Mclean, however, was not intimidated by the out of town, underdog status, landing a huge overhand right that dropped Samir, who recovered and another big left that sent Samir stumbling again. Samir, with great recovery, got back to his fight and got Mclean clinched against the cage, until referee Mike King separated them. Each fighter exchanged strikes and Samir got a last second takedown, but Mclean popped right back up. Very close round. Farid, having seen the speed and power of Mclean in that first round, was lighter on his feet and better at evading the big power shots of Mclean. Farid had some nice clinch work against the cage and landed a nice right hand, midway through the round, followed by a left head kick that almost connected flush. Good round for Farid, with Mclean just not landing like he did in the 1st.